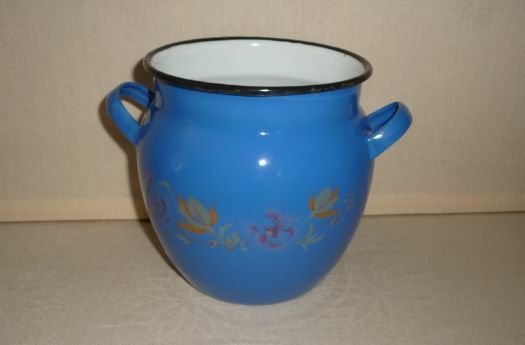 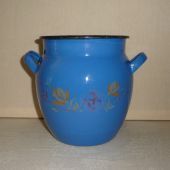 Vase in enamelware, in very good condition. 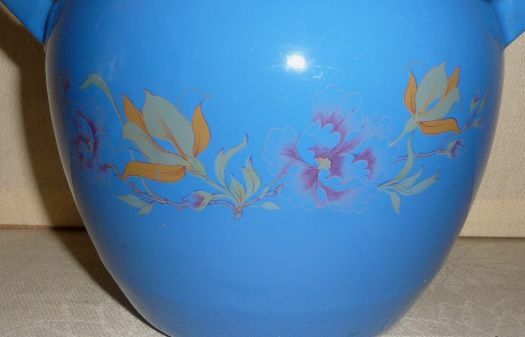 It is not very old, not a piece for collector but it is a plesant and decorative item, with a nice blue color, for a cheap price. 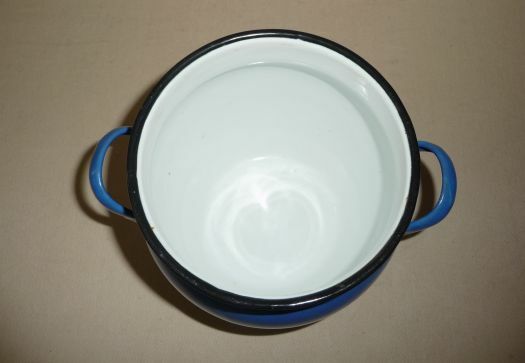 Height 16,5 cm ; diameter at opening : 15 cm.